Purpose: This paper summarises the scientific rationale supporting the need to promote healthy diet and lifestyle choices during pregnancy and describes a pilot study assessing the impact of public health messages on diet quality and lifestyle choices among a population of pregnant women. Design/methodology/approach: 18 women (ages 21–46 years) in their second trimester of pregnancy completed an online questionnaire entitled “Your Health in Pregnancy”. 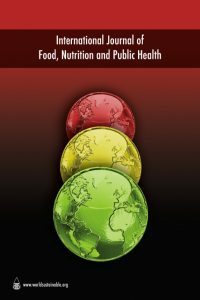 Findings: Results found that knowledge of the roles of specific nutrients important in pregnancy—folic acid 89%, iron 72%, vitamin D 78%, calcium 100%—were higher than those gained for translating knowledge into practical ‘food-based’ skills, i.e., identifying food sources of the same (folic acid 61%, iron 83%, Vitamin D 67% and calcium 94%). Practical implications: Women are aware of public health messages during pregnancy but are inconsistent when translating knowledge into behaviour change. Encouraging positive changes requires a greater understanding of complexities of factors which influence dietary and health choices.